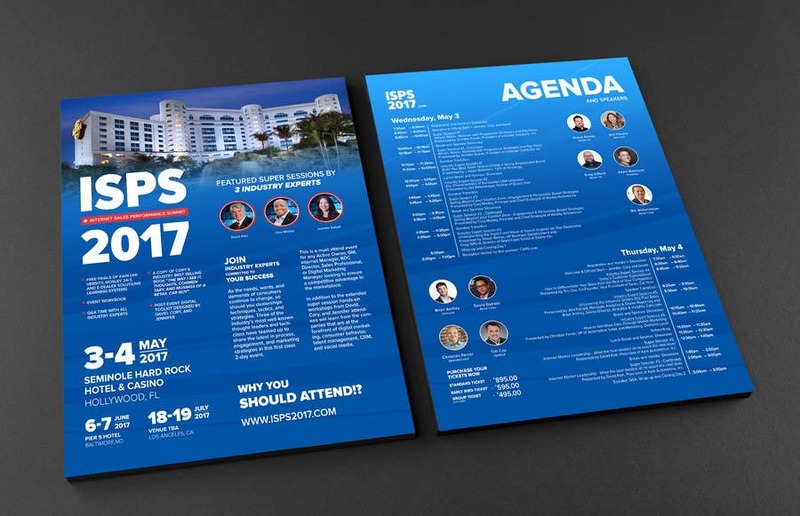 Design a Flyer for ISPS 2017. Updated version. I like the general look except for the header photo of the hotel. I'd rather have pictures of us presenting from the website or a picture of an Internet Car Salesperson or something with technology.